This detached stone cottage is situated on a working farm setting of 2.5 hectares. 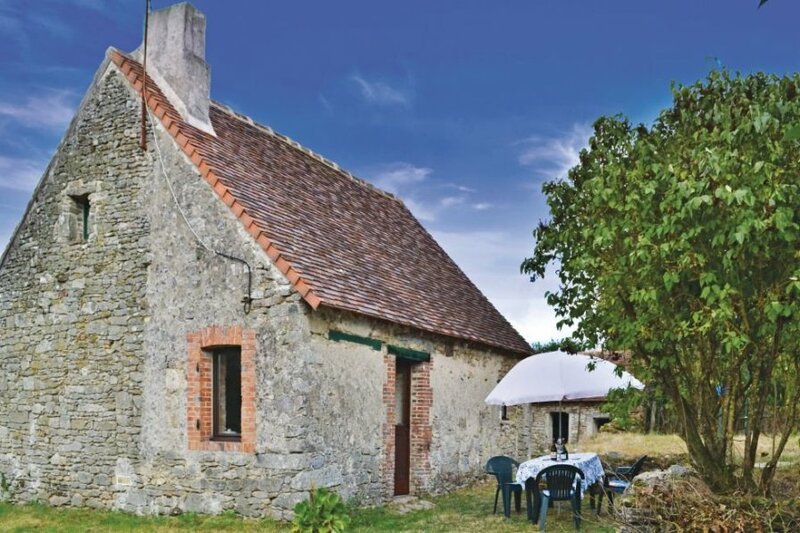 This detached stone cottage is situated in a farm setting of 2.5 hectares. The cottage is simply but comfotably furnished. The English owners that keep horses, chickens and dogs, offer a warm welcome and will be pleased to make recommendations for visits to places of interest in the area. They can, if requested in advance, provide livery for your own horse (€100 per week), arrange carp fishing at a nearby lake (€20 for 24hrs), welcome your dogs (max 2 well behaved) and even make you a curry to order ! This is an ideal countryside base for exploration of all that this beautiful area has to offer icluding cycling and horse riding. 1km south of Saint Martin-le-Mault (restaurant). 6kms east of Lussac les Eglises (chemist, petrol, baker, shop, cafe). 15kms west of Saint Sulpice Les-Feuilles - (supermarket, bank, restaurant, bakers, petrol, garage). 29kms west of La Souterraine (historic medieval village, TGV train station, most facilities). 34kms east of Montmorillion (city of literature, large market town with most facilities). 80kms north of Limoges (city, airport, train station, all facilities). 86kms south-east of Poitiers (city, airport). This villa was originally built in 1850 and refurbished in 2013. The agent has rated it as a two star property so it is a plainly furnished villa with limited facilities. It is ideal for a cheap holiday. The villaIt is located in Saint-Martin-le-Mault, only 15km from Magnac - Laval. It is set in a very convenient location, just 500 metres away from a lake. There's also a restaurant 1km away. The villa has free wireless internet. You can also park on-site at no extra charge. The villa is adequately equipped: it has a refrigerator and microwave. It also has a barbecue and some garden furniture outside.